Jared Kushner has now taken it upon his narrow shoulders to end the government shutdown, which based on his record of getting things done certainly bodes well! After Trump spoke over the weekend, conservatives who are aligned with Trump’s immigration stance, from Rep. Steve King (R-Iowa) to commentator Ann Coulter, denounced the new proposal as “amnesty” and a political mistake. Democrats, meanwhile, rejected the offer before it was announced. 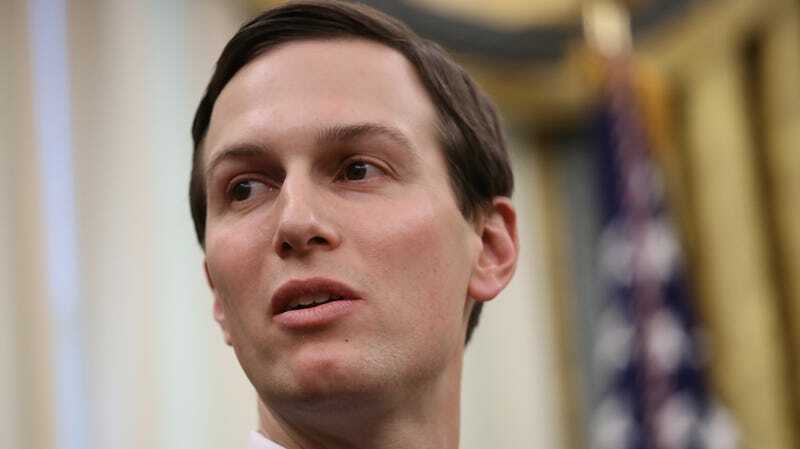 According to a senior Democratic aide, Kushner “is totally a nonentity” in the shutdown talks. One senior White House official, per the Post’s reporting, described Kushner’s positioning as “delusional.” Even Republicans like Senator Lisa Murkowski are dubious about his negotiating skills, with Murkowski noting that he “doesn’t have the experience” of Vice President Mike Pence. Despite this, Kushner is hard at work in his “sparsely decorated West Wing office,” which includes, curiously, a poster of Kanye West above his door, possibly for him to stare at for inspiration.